Hello! How is your December so far? Mine is Busy with a capital B. Well, December should be packed with festivities and merry revelries. It is also the perfect month for solitude and paying extra attention to simple joys. Just like this DIY chocolate kit from Trader Joe's. I got one each for my nephews, niece and myself. It was fun putting it together with my nephew Gabriel who is now 14 years old but will always be my baby! Tis the season for sugar. 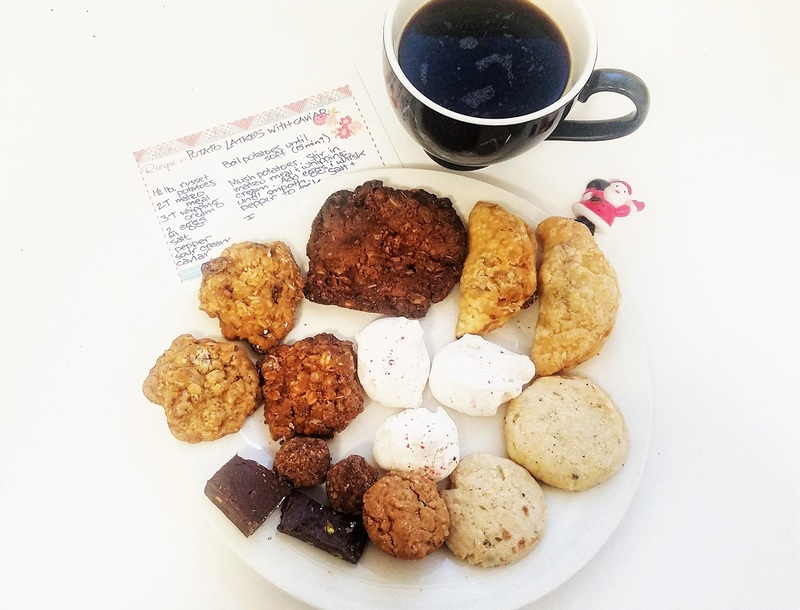 Candies, cookies and sweets keep on showing up at our office break room from friendly elves. Even if I normally profess that I really do not have a sweet tooth, I admit that I have been indulging. 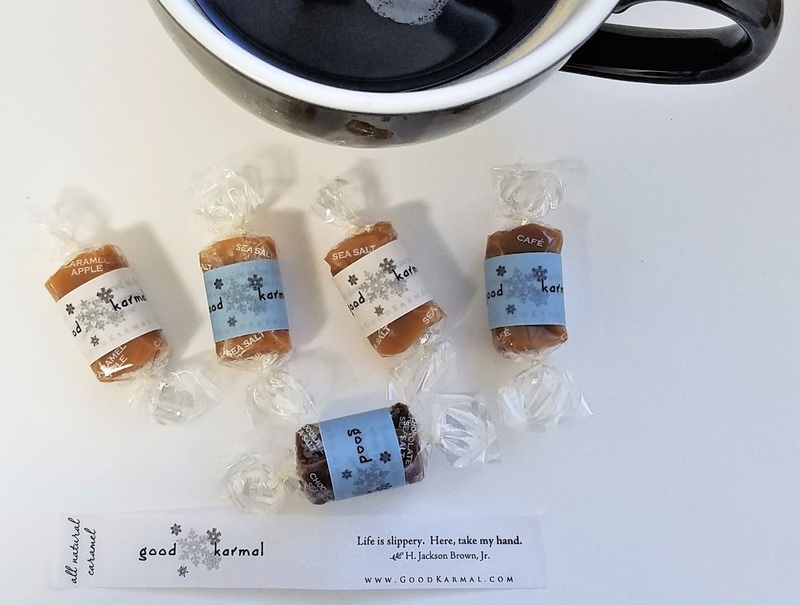 My faves so far are these heavenly caramels from Good Karmal, supposed to be among Oprah's favorite things. Caramel and words of wisdom on the wrapper. "Good karma" to get and give these goodies! I almost was not able to participate at the Cookie Exchange Party because Mr Sweetie ate a dozen cookies! He did not know that they were for the party the next day. It was not a problem. I just baked 4 dozens more of the Oatmeal Cups (a last minute revision of Oatmeal Bars) and made sure to keep them away from him. They were delicious! My reward was a plate of yummy cookies. My biggest faves were the mini potato latkes with caviar that my friend made since I am more on the savory side. I got the recipe and will try to make them and post the final yummies on my blog. At the San Francisco International Airport where we met my mom and dad who just flew in. The kiddies wanted fancy holiday Starbucks coffees. Sucker auntie to the rescue. Priceless memories. My new Jeep came with a free full-year subscription to Sirius radio and I am loving every minute of grooving to the music while driving. I am not into country music but the holiday music on this country station is just fabulous most especially during my hour drive on Sundays to go to church and see my family. I wear scarves year round. Loving my new J Crew and Gap scarves plus a couple more that Mr Sweetie got me. They are huge and cozy. I feel like wearing a blanket whenever I wear one. 6. Mom and Dad Are Here! Last time they were here were in the US was in 2015 where they stayed for a year. My siblings and I and the grandchildren are over the moon being with my mommy and daddy again. Of course, we got a lot of pasabulong (treats). They are meeting Jacob, my 18 month old nephew for the first time. I am so thankful for my family. They are the Lord's biggest blessings in my life. We picked them up at SFO on December 15 at 6 pm. 7. Fairy Lights and Christmas Magic Everywhere! 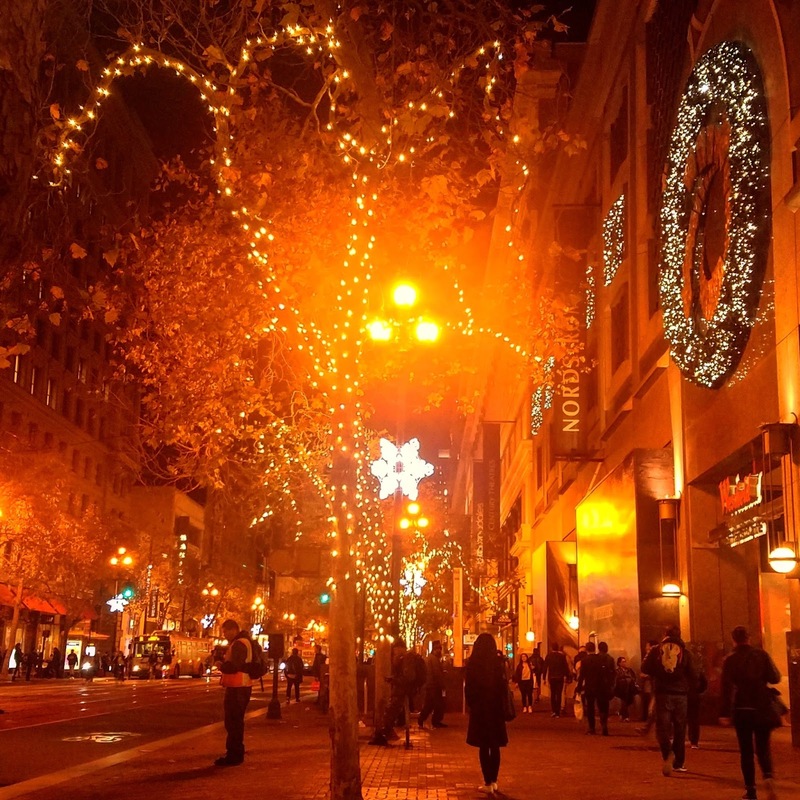 San Francisco is a romantic city and more romantic during the holidays. I love how everything is lit up and so merry-looking! Everywhere I look in the City, at my house and my neighborhood are fairy lights, Christmas trees and reminders of the most magical time of the year! A successful holiday dinner with my girls on Thursday evening, December 14 at Tropisueno. 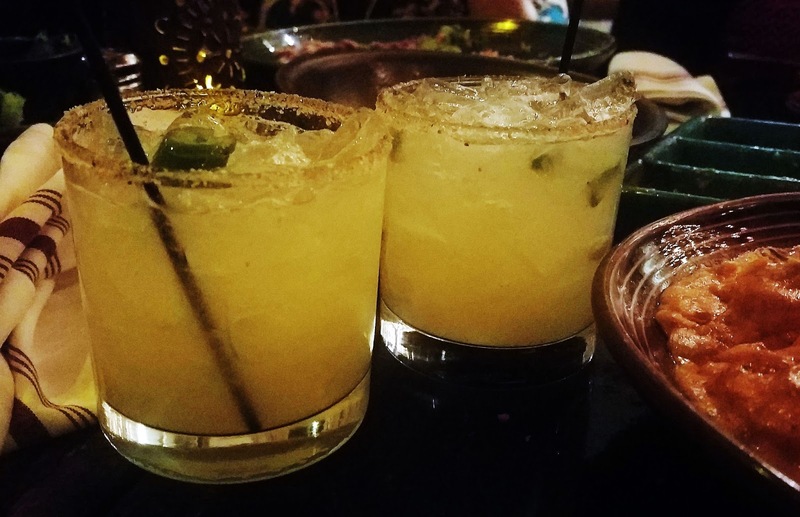 It was a delicious feast of upscale Mexican dishes and yummy margaritas. It was a love fest, a fun evening exchanging fabulous thought out presents and reminiscing. This has been our tradition for 10 years, if not more. I am so blessed to call these beautiful, strong, independent and successful career women my girlfriends for life. My BFF gave me this Advent Calendar. I have bought Advent Calendars in the past but I have abandoned them after a couple of chocolates. This time, though, I have been pretty good opening those little doors. And what makes it more fun is asking my co-workers to help me catch up by helping me eat the chocolates. They are just more than happy to help! I need to remember to get my nephews and niece Advent Calendars next December. 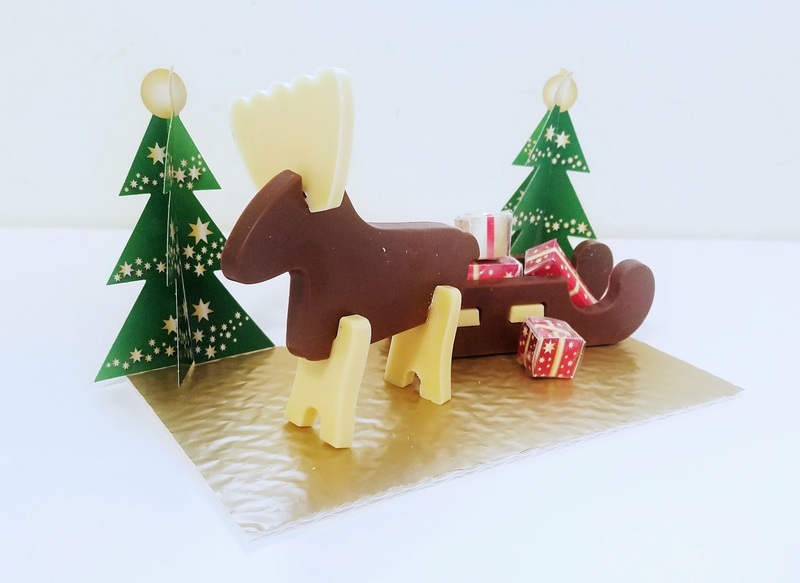 It makes the countdown to Christmas more exciting and sweet. Thanks, BFF! 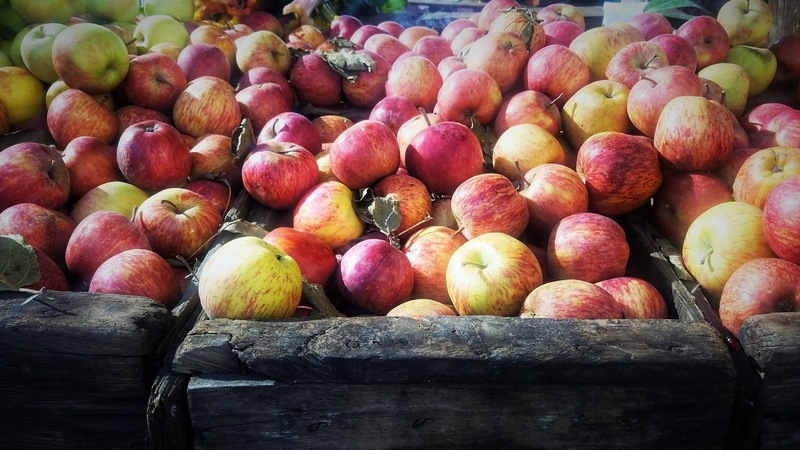 Apples, the smell of pine, the smell of wet earth. Chimney smokes and baked pies. Cinnamon-scented wall plug-in from Bath and Bodyworks that welcomes me as soon as I get home. I love Christmas and its scents that bring more happy memories of past holidays. What are your December favorites so far? Please share on the comment section below! Happy December!